Binghamton, NY USA (January 2, 2012) – SunMaxx Solar, a leading, vertically integrated manufacturer of solar thermal systems and components, is pleased to announce that the company will now offer turnkey solar electric grid tie systems with your solar hot water system. In conjunction with SunMaxx Solar hot water kits, the company now offers turnkey solar electric systems to complement their existing solar thermal product offerings. Customers can now purchase their favorite solar electric components including inverters, PV modules, racking and cabling direct from the team at SunMaxx Solar. SunMaxx offers affordable pricing on these turnkey PV systems. The product range is very flexible, offering a variety of module models, sizes and brands. “We are excited about the possibilities of growing our installers business together with them, by offering PV systems!,” exclaims SunMaxx’s Sales Manager, Ed Gunn. The PV kit addition to the SunMaxx product line offering will help SunMaxx installers save on shipping costs and logistics by ordering from one, central supplier. It will also assist them in growing their individual solar thermal business by offering PV and thermal as a combined product offering. Prepackaged kits are available for tilt, ground, and pole mounted systems. SunMaxx also provides commercial pre-packaged kits. 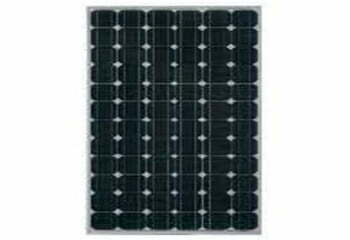 PV system sizes range from 50KW to 500KW. There are hundreds of products to select from, including the industries leading brands. Product is available for distribution out of SunMaxx Solar’s East Coast facility, as well as their West Coast (CA) distribution center. “We are aiming to achieve 15MW in installed capacity by the end of 2012,” states SunMaxx Solar’s CEO, Adam Farrell.